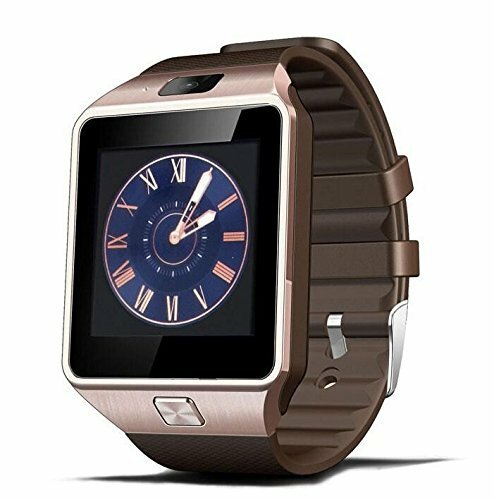 Disclaimer: this is a Bluetooth smartwatch, and all functions can be used with or without a SIM card. SIM card is not included. The DZ09 is GSM unlocked, and, therefore, is not compatible with CDMA networks (such as Sprint and Verizon). If you are a Sprint or Verizon customer, you can still connect the watch to your phone via Bluetooth. Insert an activated GSM Micro SIM card from any GSM carrier in the USA or abroad, such as T-Mobile, AT&T, H20, Metro PCS, Prepaid GSM carriers, etc. Package Includes: smartwatch, USB charging cable, screen protector, and user manual. Loss prevention: Have you ever left your house without your phone and had to come back for it from halfway towards your destination? If you have any questions about this product by TechComm, contact us by completing and submitting the form below. If you are looking for a specif part number, please include it with your message.